Neighborhoods and mobile home parks in Tulsa after the Arkansas River flooded in October 1986. Tulsa's flood control plan includes multi-use drainage basins, like the athletic field at Will Rogers High School. It doubles as a detention pond for overflowing storm water. If Houston's record deluge during Hurricane Harvey highlighted the dangers of unchecked, sprawling development, then Tulsa — another city built on oil — is a showcase for the opposite. For decades it has planned carefully and imposed wide-ranging regulations that aim to prevent the kind of devastating floods that used to make national headlines here. Other cities are taking note, as expanding development and a warming climate threaten to make flooding worse. On a recent afternoon, Bill Robison parks his city-issued car in front of a modest, beige ranch house in east Tulsa to carry out a key part of the city's program. "That's the one I haven't been able to talk to yet," he says. Robison is lead engineer for Tulsa's storm water program, and this is one of 80 homes the city is currently trying to buy and tear down. Over the last three decades, Tulsa has cleared nearly 1,000 buildings from flood-prone areas. "Typically, after people are flooded two or three times they're ready to sell out," says Robison. Sure enough, the woman who answers the door tells him the house flooded not long ago. In fact, it's flooded repeatedly in recent years, and changed hands a number of times. She's open to a buyout. Tulsa is surprisingly vulnerable to flooding, from the Arkansas River and a spiderweb of 36 creeks. In the 1970s and 1980s the city was hit by a string of damaging floods. Activists and the public stormed city hall, but builders and property developers fought plans to address the flooding. Local media dubbed the dispute "The Great Drainage War." Then, in 1984, another flood disaster dumped more than a foot of rain, leaving 14 people dead and hundreds injured. It galvanized the city. That, and a change of administration, allowed one of the nation's most aggressive flood control plans to move ahead. 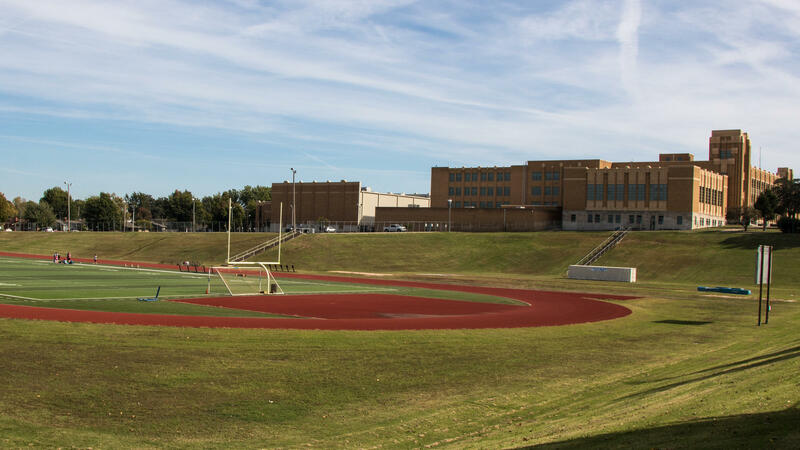 Tulsa's program is one of the few that accounts for urban growth. The city has built a network of drainage systems, creating green spaces that double as flood basins when needed. Robison pulls his car over and points one out. "You can see there's a Frisbee golf course here, walking trails and just a nice open area," he says. Tulsa also enacted strict rules on where and how homes and buildings are constructed — rules that go far beyond national standards. Ron Flanagan, who helped write the flood control plan, says it can be tough mandating something that adds costs for developers. "Elected officials are very sensitive to the development community's wants and desires and needs," he says. To help pay for the program, the city added a fee to utility bills, which was, and remains, unpopular. But having a strict program also means residents get big discounts on flood insurance. "If you don't have the local people on board you haven't got a program," Flanagan says. "The federal government can't enforce everything, and they have minimum standards." Today, Tulsa's flooding problems are much smaller and officials say the prevention program has saved lives and millions of dollars. Other cities routinely reach out for advice. Even the State Department brings international groups to see the flood plan in action. Still, Flanagan worries. The longer Tulsa goes without a catastrophic flood, he says, the easier it is to forget why the city needed to change its ways. In many cities, flooding is getting worse. A warming climate brings some areas more rain. Expanding development makes it harder for the water to drain. So what should cities do? Joe Wertz of StateImpact Oklahoma reports on what Tulsa is trying. JOE WERTZ, BYLINE: Bill Robison pulls over and parks his city-issued car in front of a modest, single-story house on a tree-lined street in east Tulsa. WERTZ: Robison is the lead engineer for Tulsa's stormwater program. His mission today - meet the owners and convince them to sell their home to the city. UNIDENTIFIED WOMAN: Yes, we are. ROBISON: Well, I bet we can work that out somehow. WERTZ: This house has changed hands a bunch of times in recent years, and it has flooded repeatedly. It's one of more than 80 homes the city is currently trying to buy. Over the last three decades, Tulsa has cleared nearly a thousand buildings from flood-prone areas. ROBISON: Typically, after people have flooded two or three times, they're ready to sell out. WERTZ: It's one part of a plan designed to save lives and millions of dollars. Tulsa is surprisingly vulnerable to flooding from the Arkansas River and a spiderweb of 36 creeks. 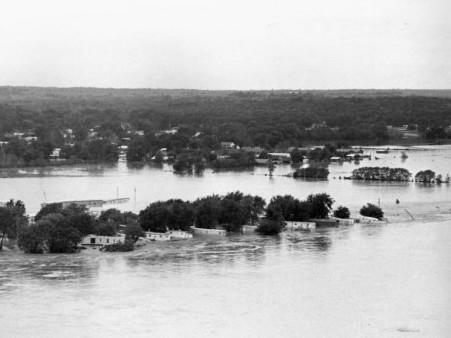 In the '70s and '80s, Tulsa was hit by a string of damaging floods. Activists and the public stormed City Hall, but builders and property developers fought plans to fix flooding. UNIDENTIFIED REPORTER: Torrential rains in Oklahoma leaving thousands of people homeless over the weekend. WERTZ: More than a foot of rain left 14 people dead and hundreds injured. KWGS journalist Bill Knoll reported the story for NPR. BILL KNOLL, BYLINE: Eight bridges were destroyed with others suffering damage. And 64 of the city's police cars were destroyed. WERTZ: The 1984 flood galvanized the city and made it possible to take action. Today Tulsa has one of the most aggressive flood control plans in the nation. It's one of few that accounts for urban growth in flood planning. The city built a network of drainage systems. It also created green spaces that serve as flood basins. Bill Robison pulls over and shows me one. ROBISON: You can see there's a frisbee golf course here, walking trails and just a nice open area. WERTZ: Tulsa enacted strict rules on where and how homes and buildings are constructed. That adds costs for developers. Ron Flanagan helped write Tulsa's flood control plan. RON FLANAGAN: Elected officials, then, are very sensitive to the development community's wants and desires and needs. WERTZ: To help pay for the program, the city added a fee to utility bills, which was - and remains - unpopular with many residents. But having a strict program also means Tulsans get big discounts on flood insurance. FLANAGAN: Everything happens at the local level. And if you don't have the local people on board, you haven't got a program. The federal government can't enforce everything, and they have minimum standards. WERTZ: Today Tulsa's flooding problems are much smaller. Other cities routinely reach out for advice. Even the State Department brings international groups to see the flood plan in action. But Flanagan worries. He says the longer Tulsa goes without a catastrophic flood, the easier it is to forget why the city needed to change its ways. For NPR News, I'm Joe Wertz in Tulsa, Okla. Transcript provided by NPR, Copyright NPR.